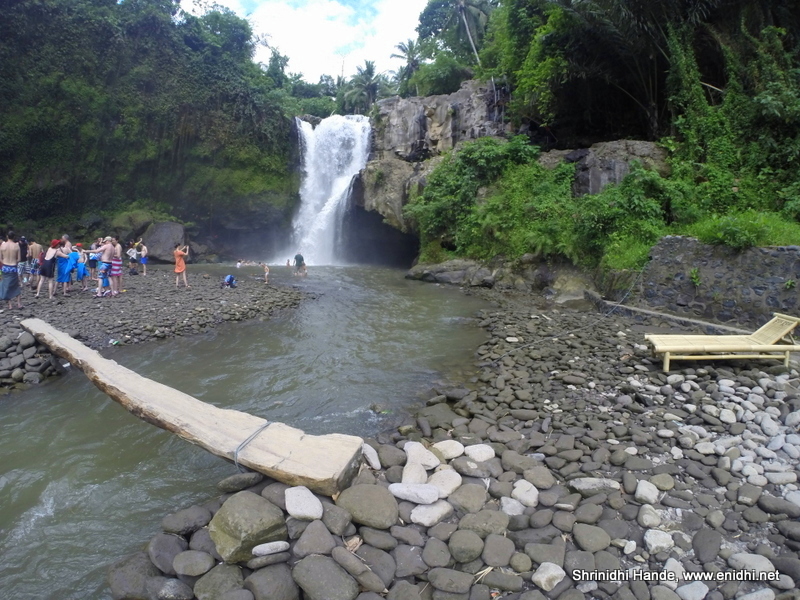 Tegenungan is one of the easy to access waterfalls in Bali compared to other waterfalls I had visited, such as Git Git. 1. If you don't want to go all the way, then you can enjoy this great view from the entrance. 3. 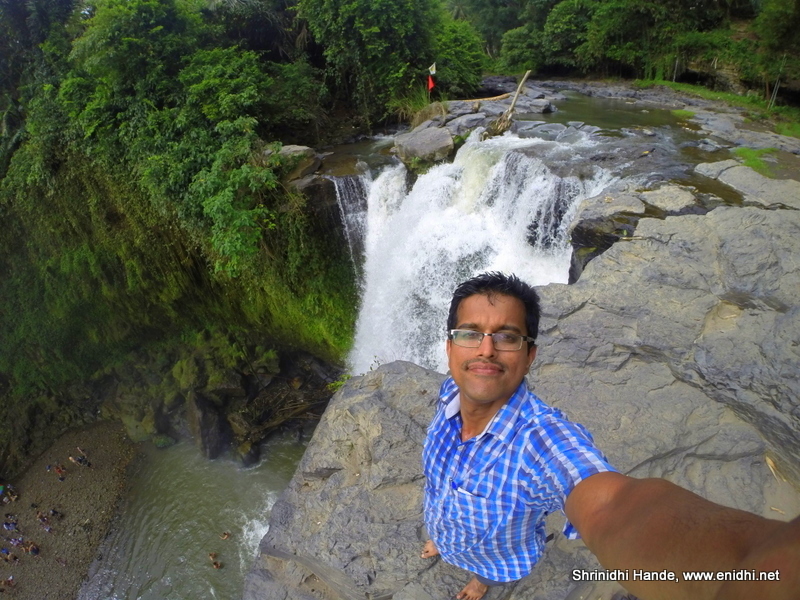 If you're adventure mood, you can climb up the waterfalls- there is a half point view and top view. But this will cost you 10000 IDR extra in addition to 10000 IDR you have to pay near the parking lot for entry. Reaching here, to the top of Tegenungan waterfalls involve climbing 100+ steps around the hill- but the view was totally worth it. An old man with tattooed back looking below from top of Tegenungan waterfalls. Parking was free. Toilet facilities are available for IDR 2000 (some shops let you free rest room use if you buy something there). Shops and restaurants are available. There are a few freshwater streams too, undisturbed by the crowd, should you wish to fill up your bottles. I would surely go to the top- a different experience that would be! This looks similar to the bush kill falls i saw here few months back. The view from top is very different. Yeah, the toilets there charge reasonable amount. IDR 2000 is approx Rs 10. The place looks lovely. I need to go back again, I hardly explored Bali this time.